A constant barrage of new email can be distracting. 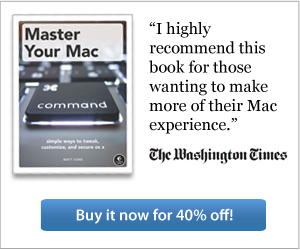 There you are, sitting at your Mac, and bam! You hear an alert and see the number badge on Mail's icon in the dock. A new message has arrived! You know you shouldn't stop whatever it is you're doing, but your curiosity is killing you. Who sent the email? To minimize interruptions like this and keep yourself sane, you can adjust Mail's preferences to check for email less often - like every 30 or 60 minutes - or stop it from checking automatically at all. It's a great way to increase your productivity without ignoring people. 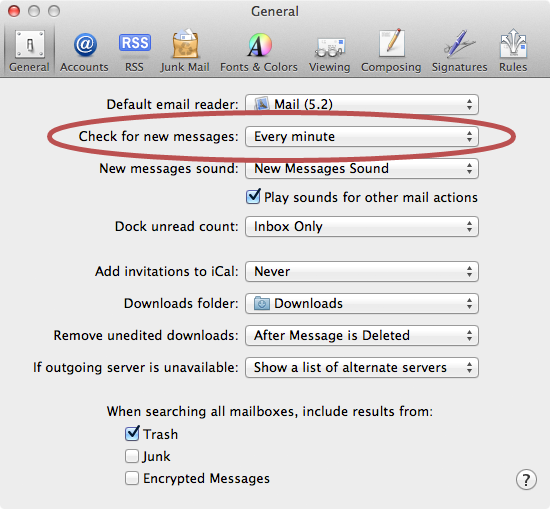 You can set the Mail application on your Mac to check for new messages in two different ways: manually or automatically. Each setting has perks and drawbacks. In the manual configuration, you'll have to check for messages by clicking the Get New Message button. This is a good way to prevent information overload - you'll only receive new email messages after clicking the button. On the other hand, you might forget to check your email and miss an important message. You can also set Mail to automatically receive new email messages at a specified interval. This is the ideal setting. You'll receive any new messages available when Mail checks for them. And if you set the interval to a longer setting - like 30 or 60 minutes - you won't have to deal with as many interruptions. From the Mail menu, select Preferences. The window shown below appears. To stop Mail from automatically receiving email, select Manual from the Check for new messages menu. Remember, if you use this setting, you'll have to check for mail yourself. To set Mail to automatically receive email, select a time interval from the Check for new messages menu. Mail can check for new messages every minute, every 5 minutes, every 15 minutes, every 30 minutes, or every hour. Close the Mail preferences window. That's it! You've told the Mail application when to check for new email message. Of course, you can always adjust this setting if you find that you're receiving new email too frequently, or not frequently enough.